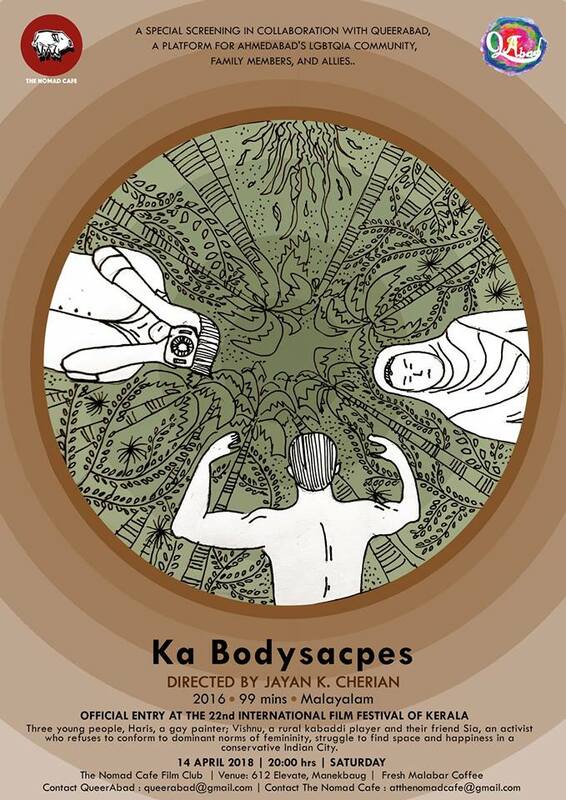 This time, The Nomad Cafe film club is collaborating with QueerAbad for the screening of “Ka Bodyscapes”, a Malayali film directed by Jayan K. Cherian. Three young people, Haris, a gay painter; Vishnu, a rural kabaddi player and their friend Sia, an activist who refuses to conform to dominant norms of femininity, struggle to find space and happiness in a conservative Indian City. Misogyny and homophobia have touched new heights in this ageing, middle-class dominated society where growing right-wing mobilization and predatory economic growth now erode both civil liberties and labor rights. family members, and allies. It is a safe space of pride, support and growth.